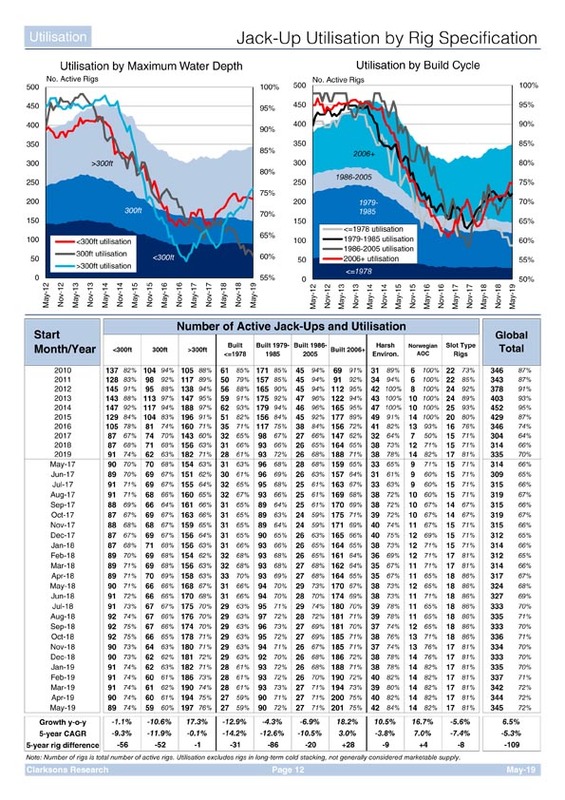 Offshore Drilling Rig Monthly - cost effective and important intelligence in a challenging market. 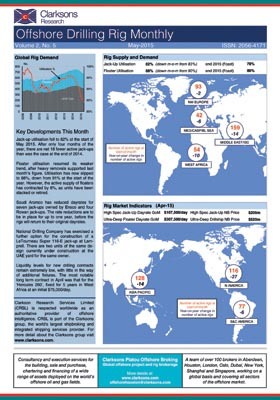 Offshore Drilling Rig Monthly is a unique and comprehensive analysis of the drilling rig market produced each month from the world's leading Offshore and Energy database. Fifty two pages of monthly analysis of demand, supply and utilisation across all Jack-Up and “Floater” sectors are provided in consistent and “easy to use” style. 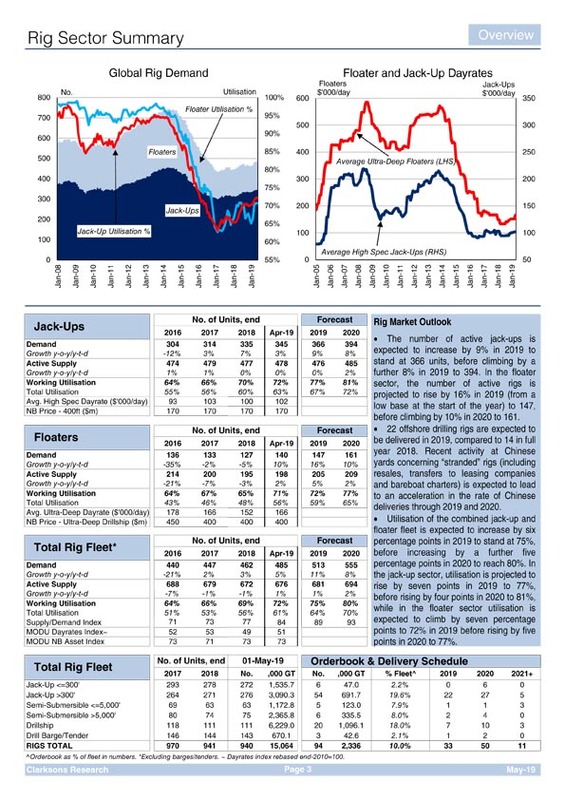 Latest day rates, contracts, contract extensions, regional deployment, values, newbuilding prices and IPO & Bond activity provide up to date commercial data while detailed fleet, orderbook, age profile, cold stacking and demolition analysis make this report the authoritative guide to rig market supply. Rankings of builders, builder country, drilling contractors, operators, designs, engine builders, drilling equipment and operator activity provide market share and competitor analysis while forecasts of demand, supply and utilisation are provided and monitored each month making this the latest in “must have” intelligence from Clarksons Research. 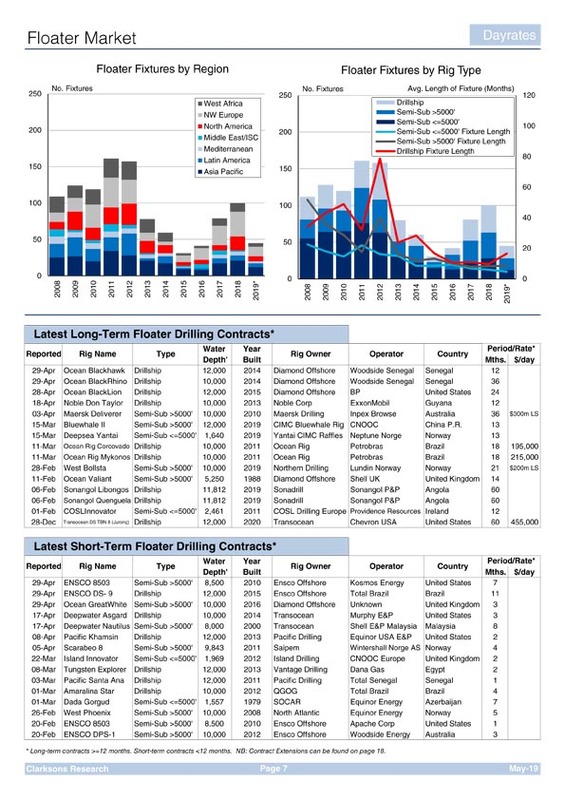 In addition to the main report a supplement detailing every drilling contractor and listing their rigs by deployment, contract status and operator relationships will be provided along with the latest orderbook listing. 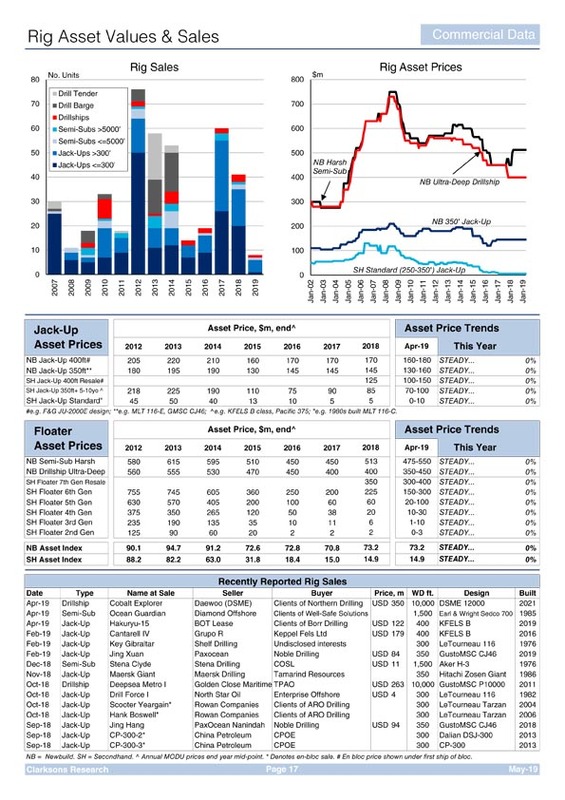 This market report is essential reading for all drilling contractors, oil companies, yards, banks, oil service companies, equipment suppliers, class societies and flag states.